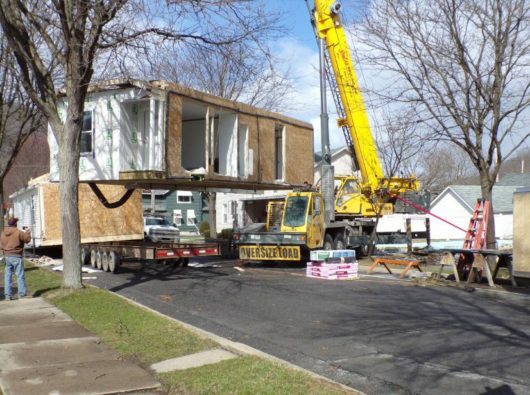 HOME SWEET HOME – Workmen assembled a modular home on West Fifth St. in Emporium in recent weeks. The Northern Tier Community Action Corp. project will soon become affordable housing for a qualified low income family. The single story dwelling has three bedrooms and two baths and is designed to be energy efficient.